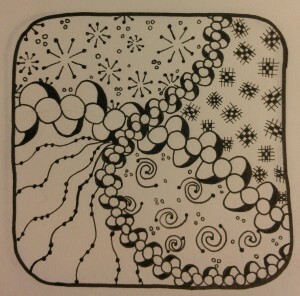 This weeks challenge was a Use My Tangle challenge. The tangle was Boo*Kee. 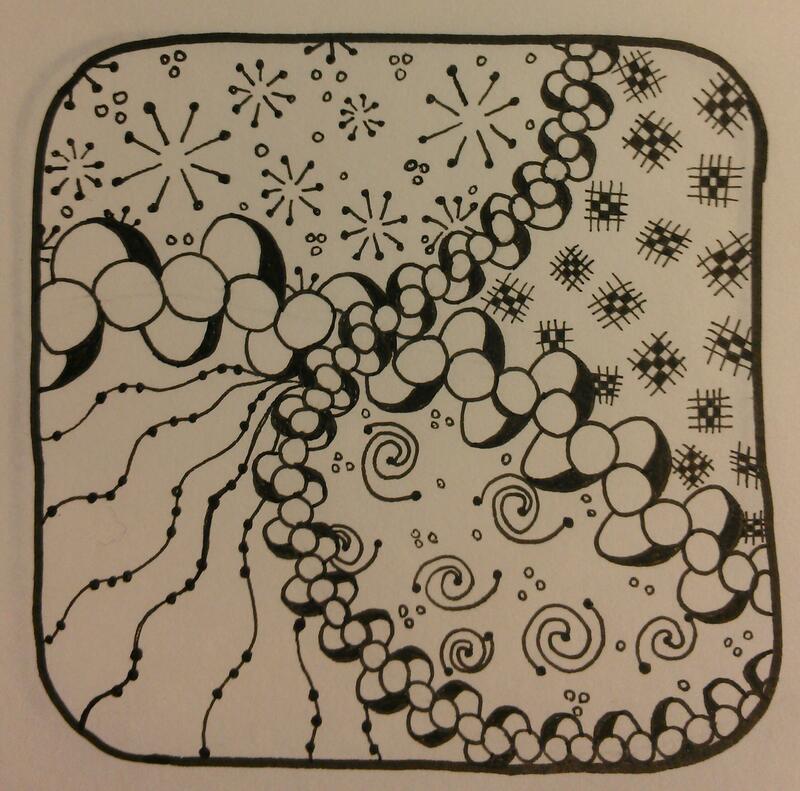 I really liked the tangle, but I did not like what I did with it. So I ended up with 3 tiles this week. The first one I’m calling 9 patch (a quilting reference to a quilt block that has… wait for it… 9 patches, see it’s not just a clever name) I thought it would be really great to use it to separate the blocks of tangles… It wasn’t. Unfortunately I feel like Boo*Kee just gets lost in the mess and you can hardly tell it’s even in there. So I created a second tile. I like it better and you can see Boo*Kee much better in this one… however I hate looking at other challenge participants tiles before I create mine because then all I can think of is how someone else used it and I want to copy that. 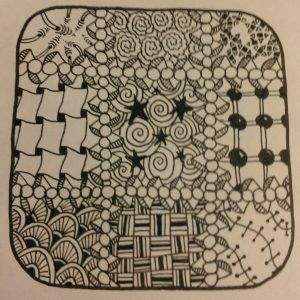 So I feel like this is a copy of the tangle that Laura used in the directions even though it is different it still feels copied and so I had to create a third tile. This week’s Diva Challenge was a DuoTangle challenge, to use only the two Tangles Pea-Knuckle and Well. 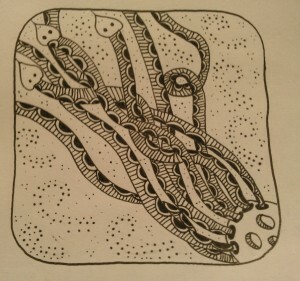 It was a big challenge for me since I’ve never drawn either of these Tangles. 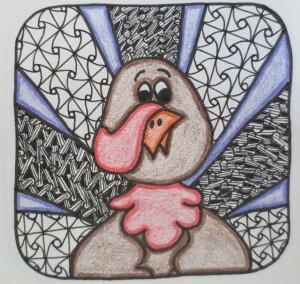 I decided since Thanksgiving is Thursday that I would do a little Thanksgiving theme. 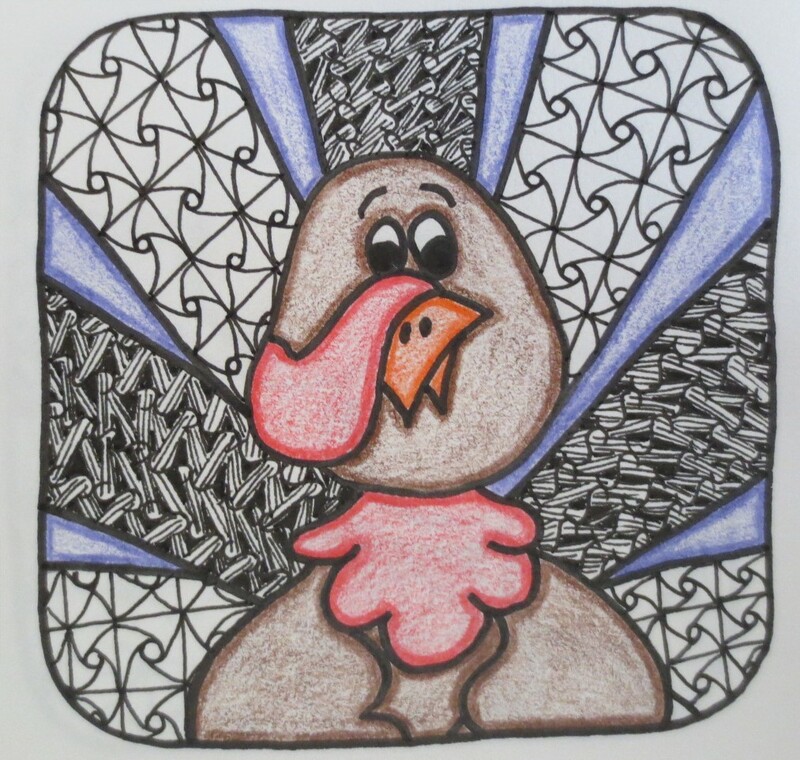 I didn’t like either Tangle as I started tangling them… but as I finished and started the shading I found that I am thankful I tried them and am liking them better. I think I’m going to have to start using a different camera since my phone makes the tiles tan instead of white. However the tile came out cute and I like it a lot. Retook with my real camera instead of my phone camera. Much happier with the outcome. 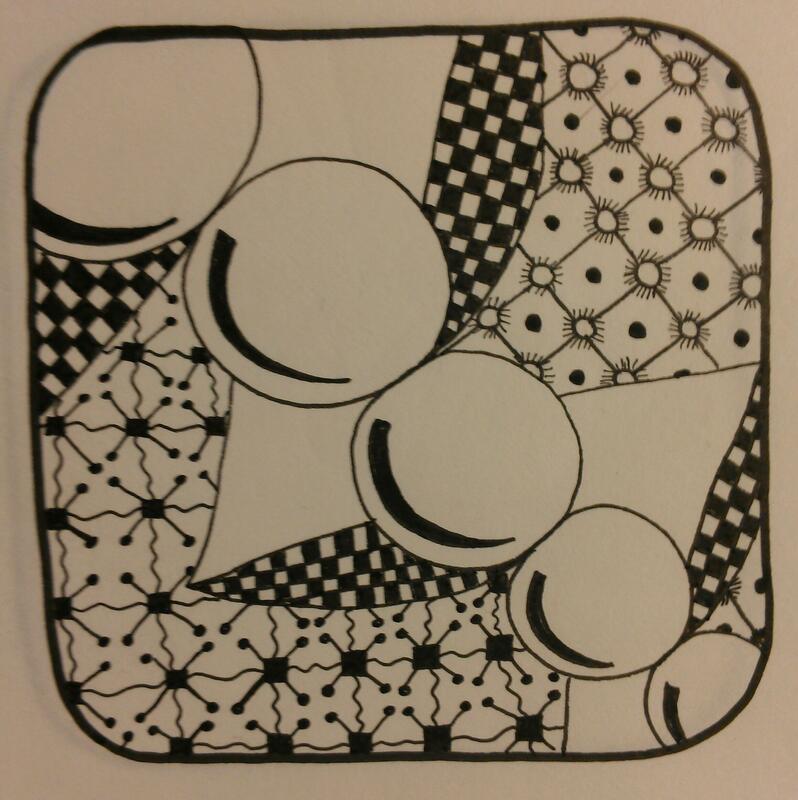 This weeks challenge was to use the new tangle Quib. I like it. I had several ideas to use this but settled on a Medusa theme. I like how it turned out. I might have to draw out a few other ideas but for now this is the one I’m submitting. It’s that time of year again. 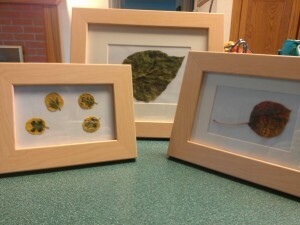 My nieces’ school is having their annual auction to raise money for their school. 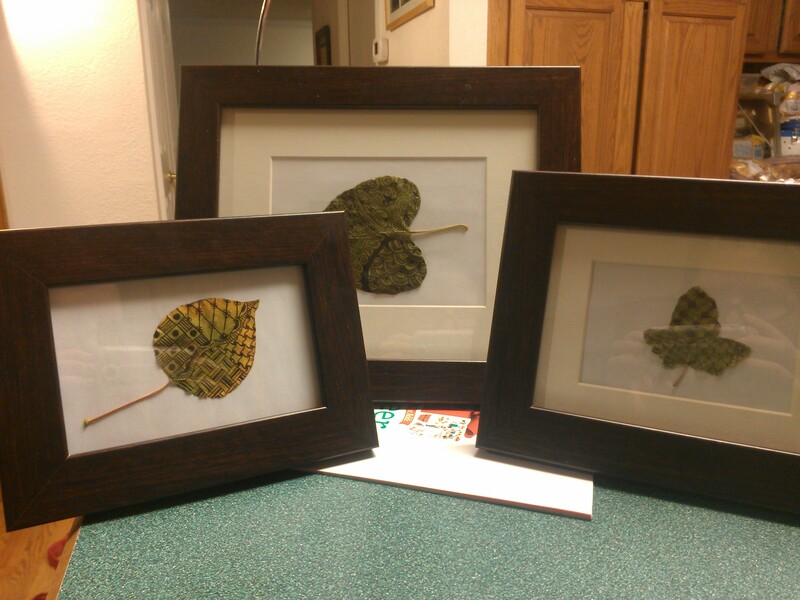 This year I put up two sets of framed leaves that I tangled on. 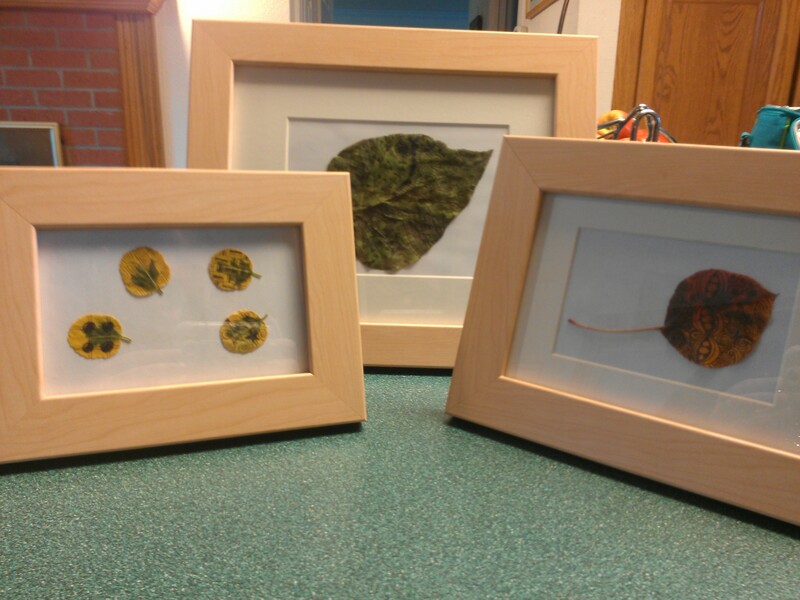 One set has dark frames and the other has light frames. I think they came out pretty awesome. Check out the auction site at http://www.oursilentauction.com/ There are lots of things up for auction including an African Safari!! 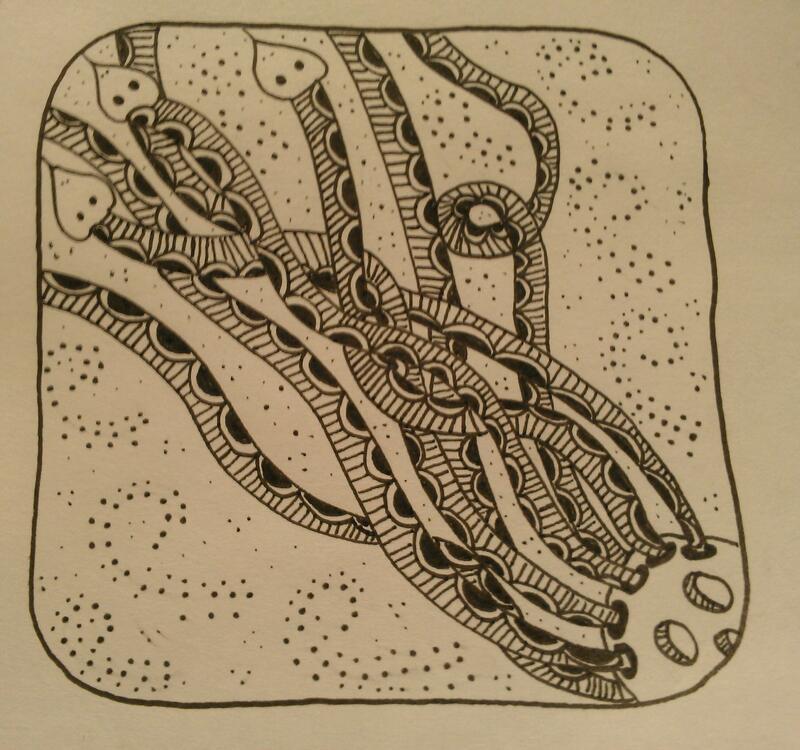 This weeks challenge is to create a tile inspired by nature, camouflage a bug somewhere in the tile, and to also add some color. 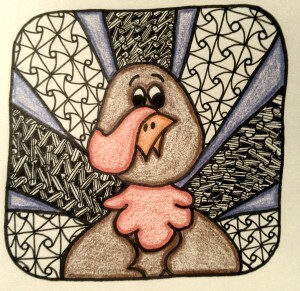 Since I am still new to Zentangle I haven’t really dabbled in color, yet! But inspired by nature I can do. 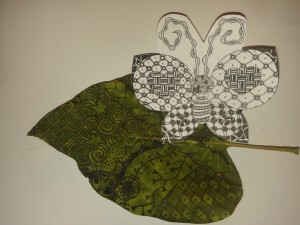 I tangled on a real leaf and also a butterfly. It sure was fun to do! 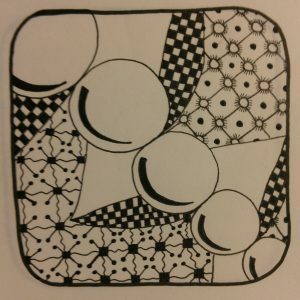 Last week was the first time I submitted a tangle to the Diva Challenge. 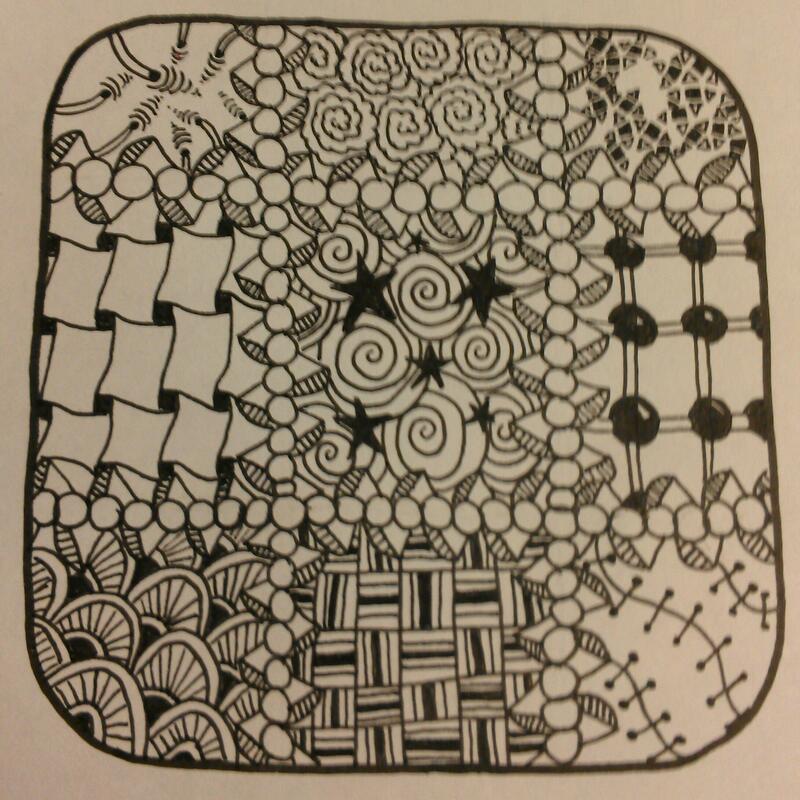 It was not my favorite tangle but it was fun to finish and submit. I didn’t have a blog which is really why this blog was created. 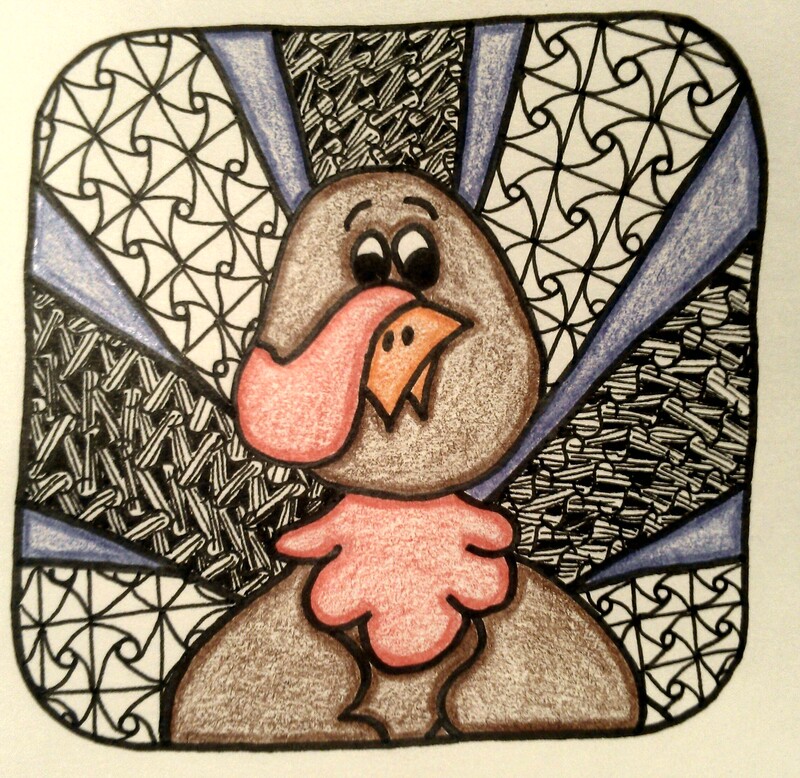 So here is the first challenge I ever created. Howdy! Welcome to my new blog. I am just a tractor girl who loves driving my HUGE tractor. I enjoy driving it in parades, at tractor shows, tractor pulls and just around the block.